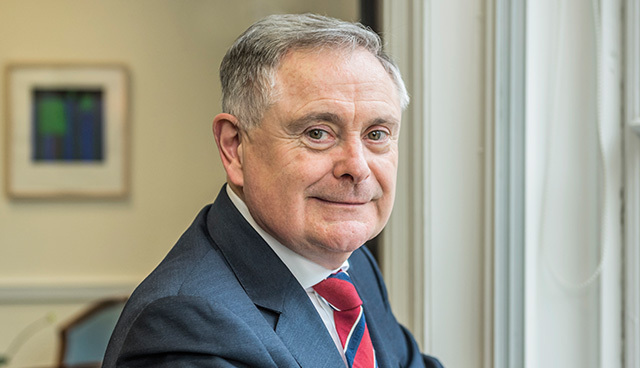 Having first contested for the Labour leadership in 1997, Brendan Howlin was finally elected unopposed in May 2016. Speaking with Ciarán Galway, the Labour leader talks introspection, sacrifice, recovery, social democracy, and new politics. 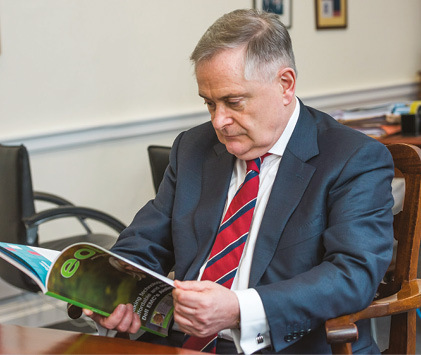 Deeply immersed in his own Labour lineage (taking his name from former leader Brendan Corish), Brendan Howlin is keen to emphasise the political pedigree of the oldest party in the State, founded by James Connolly, Jim Larkin and William X O’Brien over 106 years ago. “We have very deep roots right across the country. We have support bases and I think there’s a huge understanding across communities that it is important for our country that the Labour Party plays a role in our national politics,” he contends. Responding to the suggestion that his successful accession to leadership was something of a poisoned chalice, Howlin quips: “I thought long and hard about it because taking over as leader in those circumstances was hugely challenging, but I had just spent five years in the Department of Public Expenditure trying to fix a broken economy so I wasn’t scared of a real challenge. Though, having undertaken this task, he emphasises the objective of now ensuring that the entire Labour Party organisation, from Labour Youth and Labour Disability to Labour Equality and Labour Women are central to the party’s decision-making process. Suggesting that Labour made “great sacrifices as a party” by going into coalition government in 2011, Howlin maintains that the then leadership wasn’t naïve in doing so. “Our country needed decisions taken to put us back on a sustainable economic path. We were falling over a cliff at that stage. Unemployment was half a million or heading towards it and we were in freefall. We couldn’t pay our way, we hadn’t enough money in the State exchequers to last more than six months. We wanted to make the adjustments in as socially just a way as possible. Bluntly, we knew that wouldn’t be done by Fine Gael alone,” he asserts. In 2016, the party paid the price for its time as a virtual mudguard for Fine Gael and subsequently lost 30 seats. Yet, Howlin maintains that Labour secured numerous successes during 2011-2016 period. “We made very significant achievements in Government. You don’t get much credit for what you prevented from happening, but in the lives of people, they are hugely significant and important,” he remarks. 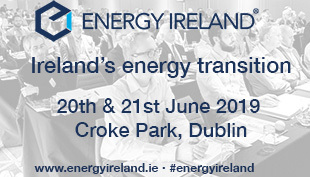 “Our greatest achievement of the last Dáil was bringing the country back from economic ruin. There are those among our opponents on the left who said we should have told the Troika to get lost and take their money with them. Well, if you want to know what would have happened in that event, we have an example of it, because that’s what occurred in Greece. Syriza told the Troika to get lost. Now the country is bankrupt and looks like it will be indebted for a very long time to come. Howlin suggests that Labour managed to dilute the neo-liberal zeal of Fine Gael during this period in government and alludes to “the endless battles to put things right”, asserting that this ensured that social provision was maintained. “I can recall very vividly some of the views of my Fine Gael colleagues who would certainly have dramatically reduced social welfare payments and further reduced the salaries of public servants. We made it to the place we wanted to be without doing any of that because of Labour. We stopped privatisation. Fine Gael wanted €5 billion of privatisation, which included companies like ESB, Coillte and Dublin Port. We have 700 plots of land across the country now where we can actually build on in our social housing programme because we preserved them in public ownership,” he outlines. However, the Labour leader acknowledges that his party “did things wrong” and identifies Irish Water as a prime example. “We took a terrible hit over the whole water debacle. It was the right project in terms of having one water utility, but it was a 10-year project that, under pressure from the Troika, we implemented in three years. That was a mistake. We tried again to resist that, but Fine Gael insisted upon it and we went along with it,” he concedes. In response to highlighting the vitriol directed towards Labour and its virtual annihilation in the 2016 General Election, Howlin is scathing of the role played by political rivals. “I can understand why [people] were angry. They were constantly being told that there was some magic formula which could fix a broken economy without causing any pain to anybody. “The mantra ‘tax the rich’ – as if wealth would stand still long enough for you to fleece it – wasn’t an option. We increased taxes very significantly in this country on all income earners, but particularly the wealthy. There was no soft option available to balance the books and as we were rolling up our sleeves and doing that, our opponents were running around telling people how awful we were and how we were responsible for everything. “I find it a little difficult to accept that we get the same ire from people for fixing a broken economy as others got for breaking it. In fact, it’s even worse when the people who broke it are actually the ones lecturing you. It’s like the arsonists giving lectures to the fire brigade,” he remarks. Currently, housing and health are regarded as the most pressing policy priorities for government and opposition alike. 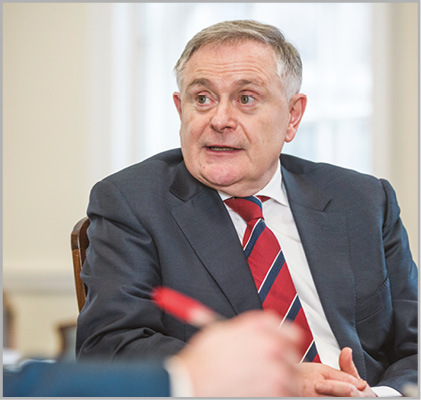 Describing housing as “bread and butter” for the Labour Party, Howlin maintains: “We have always been the party of social housing and local authority housing going back to Liam Kavanagh’s time and my own time in the Department of the Environment. “In the early part of this century when Fianna Fáil basically shutdown normal social housing programmes, depending instead on the private sector. Local authority housing departments were wound down and they bought or leased houses from the private sector. The first thing I did back in the 2015 Budget, delivered to the Dáil at the end of 2014, was to restart a public housing programme and allocate €2.2 million to achieve that. That commitment is now coming on stream. “In terms of rents, we proposed legislation, unfortunately defeated in the Dáil, to cap rents during this crisis to the consumer price index so that no rent would exceed the it. The Government didn’t go down that road, choosing instead the route of rent pressure zones. But of course, the street, the estate, the county beyond the rent pressure zone becomes the next one. Howlin highlights attempts during Labour’s time in government to refocus onto primary healthcare. “There are scores of primary care centres now built to take the pressure off acute hospitals by having another point of contact to do basic diagnostics and to be treated in a non-acute setting. Howlin’s attention then turns to the impending referendum on the repeal of the Eighth Amendment. “Again, Labour has had a very long-standing and consistent view on this. I voted against the Eighth Amendment as a very young Senator in 1983, as did all my Labour colleagues in the Seanad, led by Mary Robinson at the time, who, as a lawyer, explained why the Constitution wasn’t the right place to place to deal with an issue like this. She has been proven right and we have been proven right,” he contends. “It’s funny that when we finally get our consistent position over the line, after years of heavy lifting, others have rallied to the cause and claimed the credit in many instances. The future of work is another major area of policy for Labour under Howlin’s leadership and is incorporated within a project to examine the gig economy, the casualisation of work, the challenges of robotics and automation and guaranteeing rights at work alongside a predictable living wage. “That’s why I’m so keen to work in tandem with the trade union movement,” he explains. “I’m also an internationalist so I know the value of social democracy and [it] is under threat. Social democracy must reinvent itself and prove to people again the centrality of its message: the wellbeing of our people. I am very concerned that across Europe now, we have seen the rise of nationalism and in fact, very right-wing tendencies, gaining traction. “One of the debates I have been involved in over a number of years now, concerns how the left can counter neo-liberalism and globalisation. Globalisation as a phenomenon has not been matched by a countervailing force for the rights of working people. That has been damaging. Howlin is dubious of ‘new politics’ and regards it as an aberration. “An hour ago, we had a series of votes in the Dáil. The Government lost them all. But they’re meaningless. It could have been a debate down in the L&H and a vote taken there for all the impact it has,” he recounts. “If that goes on for any length of time, when the votes and decisions of Dáil Éireann are completely ignored and are deemed meaningless, then democracy itself will be completely hollowed out. I talked to one Cabinet Minister during this and told him that this was farcical now. He said, ‘Yeah. At the very first Cabinet meeting we had, we were shocked at the notion that the Government could be defeated and how would we deal with that’. But now, defeat is a weekly occurrence and so they just ignore it. The Labour leader anticipates a general election before 2019. “That’s my judgement call on it. I would prefer the natural horizon of a five-year Dáil with local elections to test young new candidates. We may have that, but I don’t think we will. “We are preparing for a general election, we have 18 Dáil candidates already selected and in the field campaigning. In the next month or two, we will complete a full slate of candidates to contest more than 30 constituencies. “Our vision is recovery and to play as effective and positive a role for working people in the next 50 years of Ireland, as we did in the last 50,” he concludes.